As most of you know our practice focuses on handling motorcycle accidents, wherein our clients have been involved in a motorcycle collision and believe it is in their best interest to hire an experienced motorcycle accident injury lawyer. However, I have had many clients over the past twenty years who were originally involved in a motorcycle accident and now are involved in an auto accident and call me wanting to know whether I handle automobile accidents. The simple answer to this questions is… “of course we handle automobile accidents”. I am an accident injury lawyer, who has seen enough of both sides of the coin to help you as a plaintiff. Recently I had a client come back to me, for I believe the third time, who was recently involved in an automobile accident in New Jersey. The other vehicle made a left hand turn directly in front of her. She was unable to stop and hit him with enough force that both cars were destroyed. Fortunately, my client did not break anything, however, the front passenger broke his arm and underwent surgery. Now if this case had happened in Pennsylvania, each of them would have been afforded at least $5,000 in medical coverage through the automobile policy without any deductible or co-pay and the remainder most likely, would have been put through Medicare, inasmuch as neither had private health insurance. However, New Jersey’s version of “PIP ” – personal injury protection, is much more complicated and offers more choices than Pennsylvania. As stated, PA requires that you have at least $5,000 in medical coverage. This benefit is primary and therefore your automobile insurance carrier is required to pay the first $5,000 of your medical bills. The first being that you can either select the standard NJ policy, which affords you the right to have up to $250,000 in PIP coverage. However… this coverage does not start from dollar one but instead it forces you into an 80/20 co-pay situation with a minimum deductible of $250. In addition, NJ also requires that your treating physician get permission from your automobile insurance company before they initiate any type of treatment. I believe there is an emergency exception for this coverage but either way you must notify your auto insurance carrier as soon as possible. Your second option is using your private health insurance as your primary health benefit. Ideally this is supposed to lower your premium. However, over the years when I have had clients who have chosen their private health insurance be primary, it usually comes with a good deal of caveats and exceptions. In the recent case I referred to, the passenger was already on Medicare for another issue, and should be able to use Medicare to pay his hospital and doctor bills. However, my other client may, or may not be able to use her Medicare as her primary insurance depending upon how her auto insurance carrier interprets the policy. 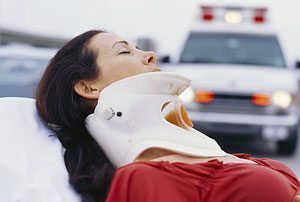 Finally, in order to make it even more difficult to use your automobile insurance as your primary payor of your medical bills is the fact that if your insurance company doesn’t believe that you are truly injured they may demand that you undergo an examination by a doctor of their choosing to substantiate your need for medical care. 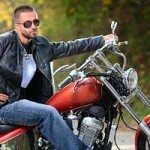 At the end of the day, if you are involved in a motorcycle accident, you should definitely contact a motorcycle accident injury lawyer. And if you have been involved in an automobile accident, you should contact an automobile accident attorney – or you can save yourself the trouble and simply contact me at 888-292-5352 no matter what type of traffic accident injury you have suffered. 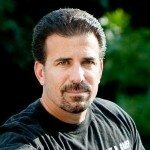 As I have stated before in my motorcycle blog articles, if I can’t handle your case, I will be happy to refer you to one of the top PA or NJ attorneys who focuses their practices on your specific type of accident injury case. If you have any questions regarding this topic or any others, please feel free to contact me at 888-292-5352 (888-CYCLE-LAW).